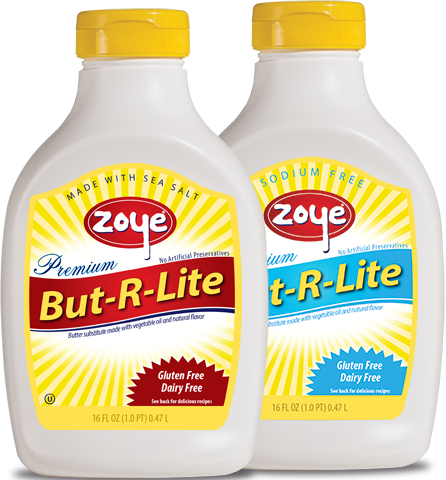 Zoye But-R-Lite® is a healthier butter alternative. 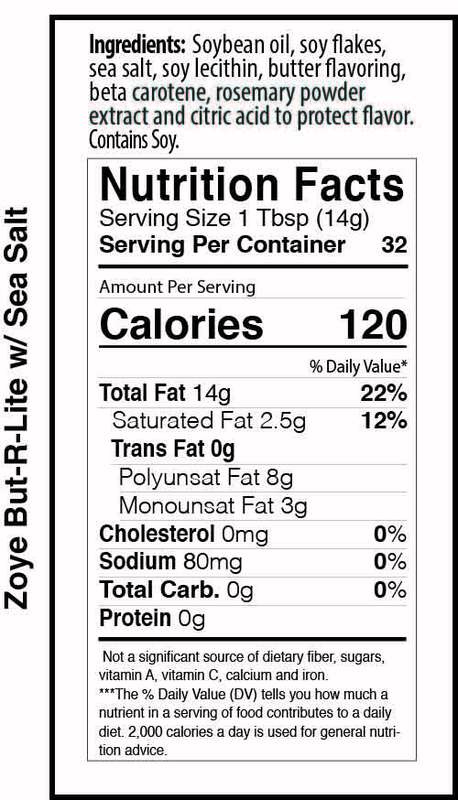 With natural butter flavor and sea salt, But-R-Lite can be used at high heat for all your cooking and baking needs. 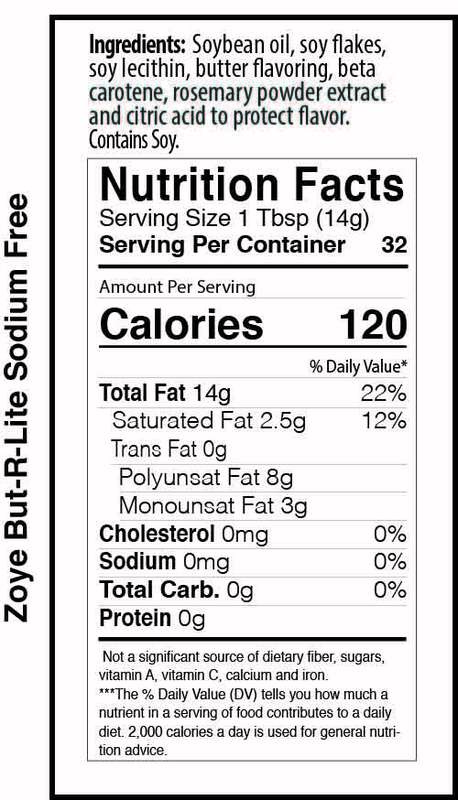 Dairy, gluten, cholesterol and trans fat free, it is also great for vegan based recipes. But-R-Lite is perfect for popping popcorn and is equally delicious as a popcorn topper. It can also be used as a flavoring for corn on the cob. Store at room temperature (65°F to 70°F) in a dry and odor free environment in unopened containers. Any oil will burn if overheated. If oil smokes, reduce heat. Oil will pick up flavors if stored near items giving off strong odors. What people are saying...	Write your Zoye review below. Be sure to pick your star rating! Write your Zoye review below. Be sure to pick your star rating!